Anyone who has had the displeasure of living with bed bugs knows how stressful it can be to deal with an infestation and how difficult it can be to spot these critters in your home. They should also know that early detection of these horrible pests makes getting rid of them much easier. 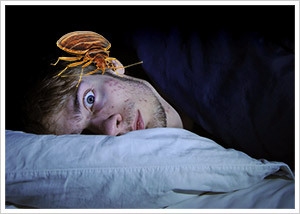 Considering that bed bugs are great at hiding and only come out to feed at night while you are asleep, it is no wonder that they are so difficult to detect. If they do make their way into your home, bed bugs can multiply very quickly making the problem much worse and more difficult to exterminate them. If you travel often, knowing how to detect bed bugs can potentially save you from having your home infested in the first place. Even if you don’t travel much, knowing how to spot these pests can lead to early detection in the event that your home gets infested resulting in a much simpler and less costly extermination process. 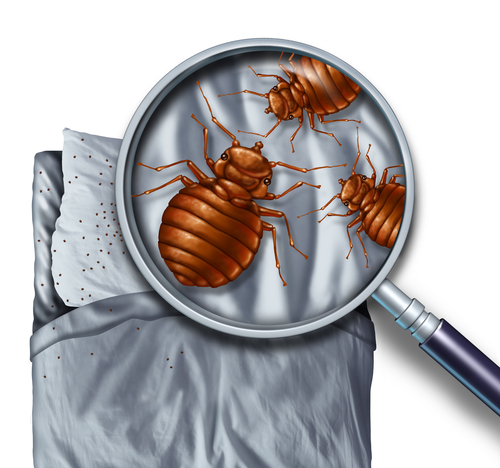 If you believe that you may have bed bugs in your home there are several options for you to confirm this belief on your own. You can either look for them yourself by visually finding their hiding spots or use detection devices which you can make yourself at home or purchase at a store. If neither of these methods works and you are still sure that you have a bed bug infestation, you should hire a professional bed bug exterminator to do a thorough inspection of your home. 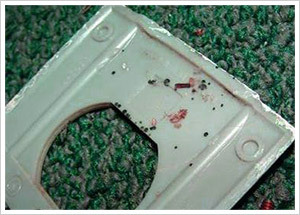 Visual detection of bed bugs can be very difficult due to their tiny size and elusive behaviour. If you suspect that you may have bed bugs because you have some signs of them being present, such as bite marks on your skin after you sleep or tiny black spots on your bed sheet, here are some tips how to find them. Box spring and mattress – These are the most common places for them to hide during the day. They tend to hide under the seams of your mattress or under the plastic guards at the corner of your box spring so be sure to do a thorough check. Bed frame and headboard – Another very common spot that is near a source of food is in small crevices within your bed frame. Upholstered furniture – Similar to your box spring and mattress, bed bugs often hide in the seams of your upholstered furniture. Baseboards, wall cracks and electrical outlets – If you can’t find them in any of the locations above, check any other tight spaces near your bed such as cracks in the wall and behind baseboards. These are some of the most common spots to find bed bugs hiding during the day. Some other places you may find them are in your nightstand, dresser, clutter in your room, wallpaper seams and in your curtains. Knowing the most common places for bed bugs to hide is often not enough to find these pests in your home. They are so small and good at hiding that they can easily be missed, especially in the case of a small infestation. Another way to find them is to catch them in action while they are feeding on your blood at night. They most often feed at dawn so to catch them in action you should set your alarm a bit earlier than usual and have a flashlight nearby. When the alarm wakes you try to move as little as possible to not scare them back into hiding and look for any movement in your bed. You should do this every night for about a week because in the case of a small infestation they may only come out once a week to feed. If visual detection of bed bugs in your home did not produce any evidence but you still believe they are present in your home, there are several detection devices you can use to stop them in their tracks. These devices should be placed directly in the path that a bed bug would travel at night to feed on your blood such as around your mattress or around your bed. 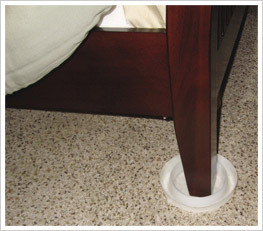 A very simple form of this interception device is using double sided tape and creating a border around the edge of your mattress. As bed bugs make their way to you while you’re asleep, some of them will get stuck on the tape giving you the visual evidence you need to conclude that you have an infestation. For this type of detection to work you should leave the device in place for several weeks in case you have a small infestation and it takes a while for a bed bug to get captured by the device. These devices are known as Active Monitors and use a similar concept to the devices listed above except that they use lures to lead the bed bugs directly into the trap. Some common lures used are CO2, heat and chemical attractants, all of which will trick bed bugs attracting them to the device which is designed to capture them in a small enclosure that they will not be able to escape.